This post is written to answer one of the biggest questions people ask me: Where are the "café / food / shopping clusters" so I don't have to travel from place to place too much? If you are new to Johor, you can begin by going to obviously, City Square Mall. Singaporeans' favourite activity in this mall include stocking up on cosmetics/contact lenses/toiletries, watching a movie, singing k, and generally eating Din Tai Fung and Hui Lau Shan desserts in ringgit dollars. I recommend getting contact lenses as the most value-for-money shopping item. After spending some time in City Square, walk to Jalan Trus for something different from a shopping mall. It is easy to access across RHB Bank, now with the roadworks almost done, we can expect business to boom here. Most people stop by Faculty of Caffeine for some coffee and visit the Johor Old Chinese Temple if that's your kinda thing. Then, take a 10-minutes walk towards DoubleTree by Hilton Hotel JB, where you can enjoy a dinner at One63 European Bistro & Bar, as well as a cocktail at the rooftop bar of Mad160. If you're thinking to stay overnight in JB so that you can wake up bright and early for some delicious Malaysian breakfast, stay at DoubleTree by Hilton Hotel. Most people who have stayed here raved about how good it is and it is also near to the Customs, so you won't have much stress over bringing your barang-barang all over the place. It is about SGD78/night. Next, try the Jalan Tan Hiok Nee & Jalan Dhoby area, about 10-15 minutes walk from Customs. You have to walk through the Little India of Johor from Customs and you'll land yourself among nearly 20 cafes. It'll be enough to stuff you for the whole day. Places that I recommend stopping by include Ya Wang (roasted duck place for lunch), Replacement Lodge & Kitchen (coffee, brunch items), Bev C (cakes), Shakespeare Milkshakes (milkshakes, duh), Sangkaya (coconut ice-cream), Flowers in the Window (themed café), Koone (nitrogen ice cream with smoky effect) and Hiap Joo Bakery (banana cake souvenirs). There are a lot more, so explore away. If you are averse to cab and swears off Grab, I recommend the bus option the best. It is taken by locals and relatively safe in the fact that you have safety in numbers! Students, old folks, regular folks take these all the time. From the customs, go to the bus interchange and look out for KSL, ie. Singaporeans' 2nd favourite mall in JB. Hop onto the bus, it costs RM1.5/pax regardless of distance. In KSL, Singaporeans love to fix their broken phone screens at a fraction of SG price, shop for hair/makeup accessories (one particular shop in basement has everything), clothes and shoes. I recommend these activities and also - make your blue-light filter specs here. I made my new specs with degree + blue-light filter + frame for RM360 (awesome value!). I love shopping at KSL more than City Square because prices are relatively lower. Next, head on over to Holiday Plaza on foot just a 5 minutes walk away if you are looking to do a hair/scalp treatment, dye your hair, haircuts, or massages. Way cheaper than KSL and more choices, but it looks slightly dodgier than Lucky Plaza in Singapore. Go for fun and for your wallet's well-being if you're "adventurous" enough. You can get a bonus cluster if you are willing to brave a 15-minute walk away from KSL. It is not necessarily very easy to navigate (especially if you're bad with directions) but it is quite worth it if you get here, especially if you love to eat! The Jalan Serampang foodie heaven lane! Aim for the two-storey locals-favourite Lavender Confectionery & Bakery where you can bag home some goodies (e.g. mooncakes, cheesecakes, dumplings etc depending on seasons) and even enjoy a delicious dinner in the lovely atmosphere. Otherwise, the wedding-boutique-café J.C Café also sits right opposite Lavender, where you can grab a coffee. Coffee Signature Container Café with its 'cotton candy rain' coffee and Seven Oaks Bakery Cafe are also neighbours of J.C. Café. Finally, Gianni's Trattoria, JB's best Italian restaurant, is also in that region. Is the foodie in you screaming in excitement yet with so many lined up on this road? On adjacent streets, there is a 亚标云吞面 on Jalan Badik 1 and 成记咖喱面 on Jalan Keris that are super popular with the locals. There are plenty of local street food in this region too, so let loose and indulge! Somewhat nearby to Jalan Serampang (about 300m away), you can stroll along Jalan Maju where the major publication offices are, and there are many local Chinese restaurants you can find along that street. I haven't explored this area fully yet so I can't comment. It's also right next to Plaza Pelangi. I don't recommend walking from place to place for this one unless you have particularly strong legs (hopefully you didn't waste too much energy crossing the customs). If you're driving, it'll be a lot more pleasant. Some of the worthy stops in this cluster along Jalan Ibrahim Sultan which faces the Singapore coast (approximately Admiralty) include: Alona Coconut Shake Stulang Laut. About 600m away, Vantage Bay has amazing bar with great vibes, a Penang restaurant, and a bakery Wheat & Wits, with delicious cakes. If you're willing to brave the walk, look out for Foon Yew Laksa on Jalan Stulang Laut for some local-approved laksa! Quite a bit of walking to do for this one because the places that I liked in Taman Molek area are quite far apart. Start with an early morning breakfast at Kitchen Stories before moving on to coffee and brunch at The Brew Orchestra, and then try the cakes at My Liberica Coffee! If you're in the mood, I highly recommend going to Whisky House for its wonderful array of whiskys. If you're not too much into it, grab a short 10-min taxi ride to Aeon Tebrau City where you can shop till you drop! This whole day cluster is none other than my new favourite hot-spot, Mount Austin! Head straight to JWC Coffee first for a brunch and coffee. It will be a nearly 30-minute walk to the next area in Mount Austin, which is perfect for you to digest your brunch (lol, unlike the abovementioned clusters where you have no time to breathe before the next activity). Or you can simply take a Grab. Aim for the Uncle Tetsu Cheesecake, Hoki Cake Bakery, Sangkaya, and Softsrve Johor Bahru cluster for a dessert break. All four are recommended, so stuff yourselves. They have LOST in JB, Austin Heights Water & Adventure Park and Thai Spa for massage for some non-food activities. Finally, I spot my favourite global ramen chain here too (but I haven't tried): Fukuryu Ramen! I've got to update this as multiple clusters when I go through this place thoroughly, Mount Austin is an awesome place to explore HARD. For seafood!!! OK it gets crowded from its overwhelming popularity, so go at your own risk. Along the Malaysian coastline facing Sembawang. 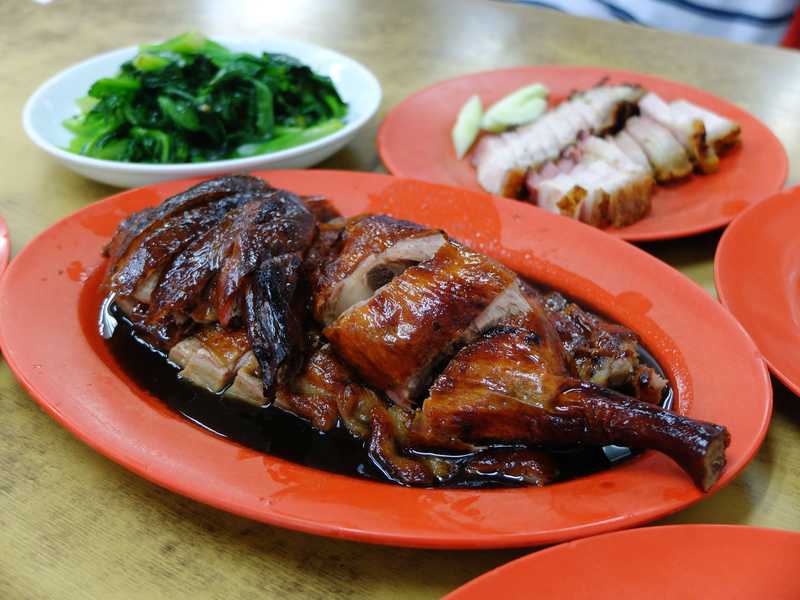 Far-flung, highly-raved yong tau foo place that people who drives or take Grab can reach, near Taman Iskandar. Legit and authentic Taiwanese, homely cuisine, located between Taman Molek and Taman Mount Austin. A case of so near yet so far.. Sugar on Top is one of my favourite cafes in JB that is equidistance from KSL to Lavendar Bakery as to KSL to Sugar on Top. There is nothing much beside it, but it is worth going for its matcha lava cakes and other menu items. Love watching Chinese dramas and variety shows? Download the KingTV app now to watch them for free wherever you go!